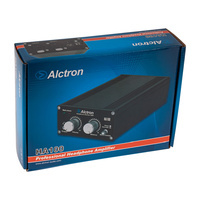 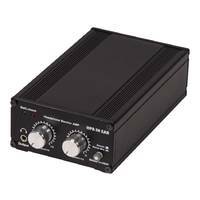 Ideal for studio or stage use, this compact headphone amplifier has two line level inputs featuring combo jack connectors, accepting both XLR or 1/4" TRS. 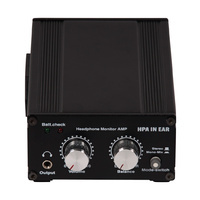 Ideal for taking a signal from AUX send on a mixing desk and delivering it as a headphone level 3.5mm output, perfect for wired in-ear monitoring on stage or in a studio. 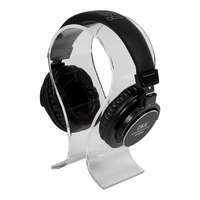 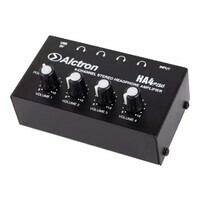 The headphone output can be run either mono or stereo with a simple press of the mode switch. 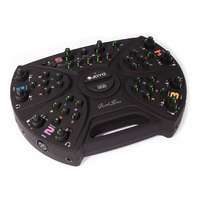 The mono mix option can be useful if the two input signals are of from different instruments and you want to blend the two together, instead of each instrument only being heard in one headphone. 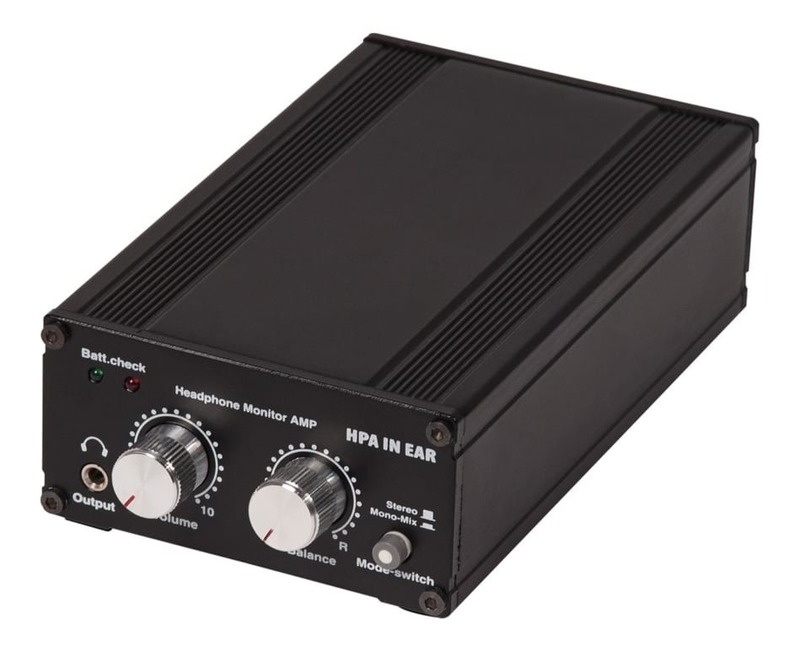 The HA100 has a powerful headphone amplifier delivering a high volume output that is adjustable via the volume control knob. 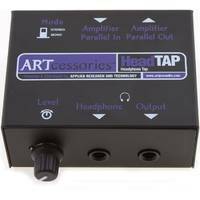 While the balance knob allows the user to pan the output to the left or right, accentuating the signal from either input. 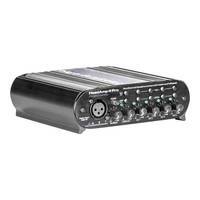 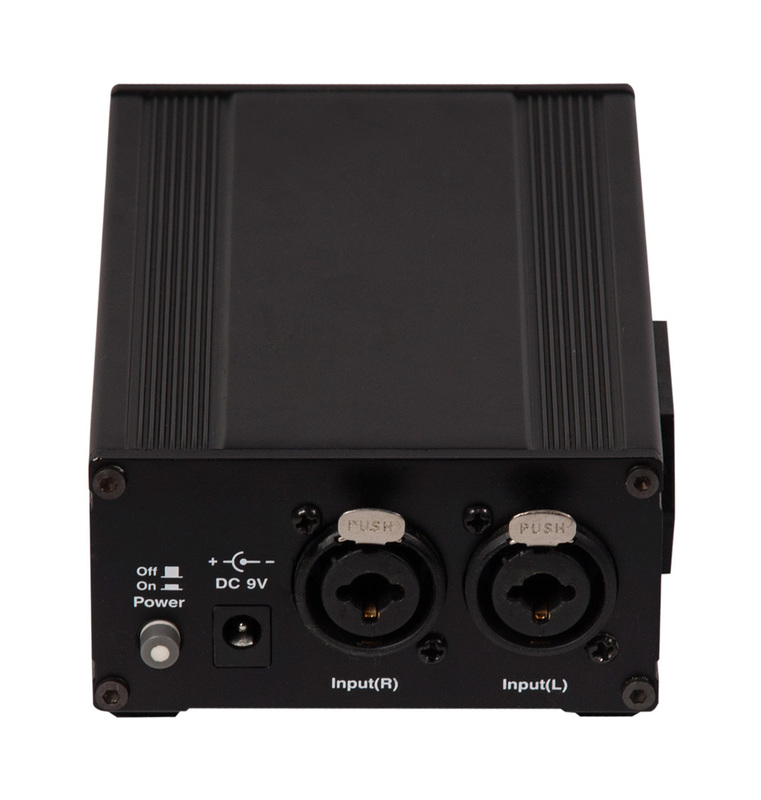 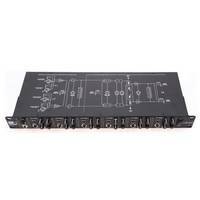 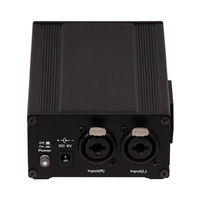 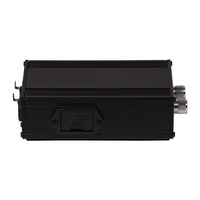 The HA100 has the option of running from the supplied 9V DC power supply. 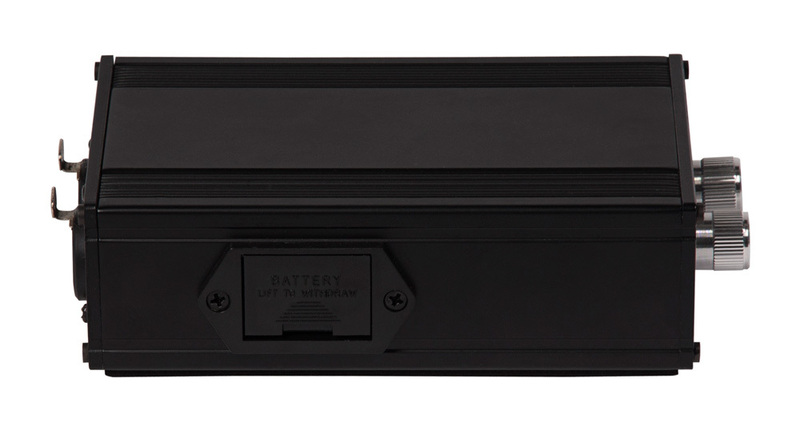 Or it can also be run off a standard 9V alkaline battery making it extremely portable. 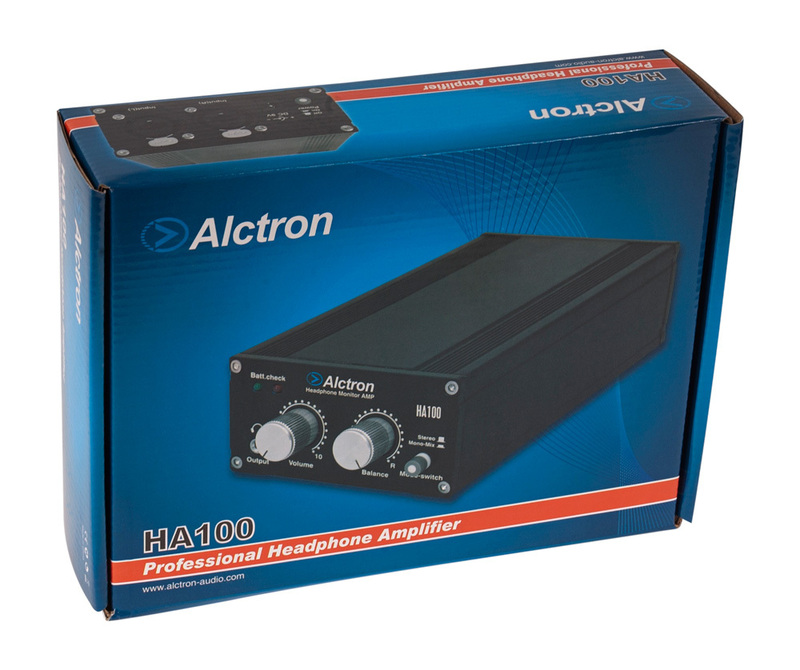 Constructed with a solid aluminium black casing and featuring an inbuilt 3/8" thread on its base the HA100 can be conveniently mounted on any mic stand, simply by screwing the unit onto the top of the stand as you would a mic clip. 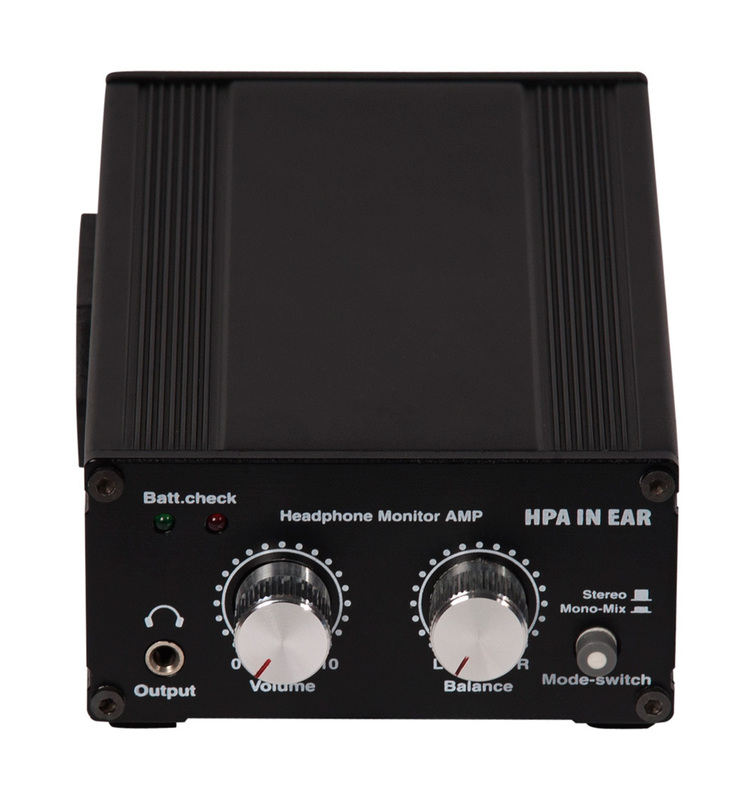 Perfect for use on stage for wired in-ear monitoring.